In 1851 Queen Victoria opened the Great Exhibition in Hyde Park. It was the high water mark of English achievement - the nation at the forefront of the Industrial Revolution, at the heart of a burgeoning Empire, with a queen who would reign for another 50 years. In the following 150 years, the fate of the nation has faced turmoil and transformation. But it is too simple to talk of decline? Has Great Britain sacrificed its identity in order to stay part of the present world order? 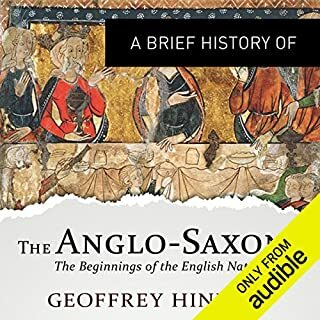 Starting AD 400 (around the time of their invasion of England) and running through to the 1100s (the 'Aftermath'), historian Geoffrey Hindley shows the Anglo-Saxons as formative in the history not only of England but also of Europe. The society inspired by the warrior world of the Old English poem Beowulf saw England become the world's first nation state and Europe's first country to conduct affairs in its own language, and Bede and Boniface of Wessex establish the dating convention we still use today. January, 1649. After seven years of fighting in the bloodiest war in Britain’s history, Parliament had overpowered King Charles I and now faced a problem: what to do with a defeated king, a king who refused to surrender?Parliamentarians resolved to do the unthinkable, to disregard the Divine Right of Kings and hold Charles I to account for the appalling suffering and slaughter endured by his people. Wow! Balanced, interesting and entertaining. Over the next 400 years, under royal dynasties that looked principally to France for inspiration and ideas, an English identity was born, based in part upon struggle for control over the other parts of the British Isles (Scotland, Wales, and Ireland), in part upon rivalry with the kings of France. From these struggles emerged English law and an English Parliament, the English language, English humour, and England’s first overseas empires. In this thrilling and accessible account, Nicholas Vincent not only tells the story of the rise and fall of dynasties, but investigates the lives and obsessions of a host of lesser men and women, from archbishops to peasants, and from soldiers to scholars, upon whose enterprise the social and intellectual foundations of Englishness now rest. 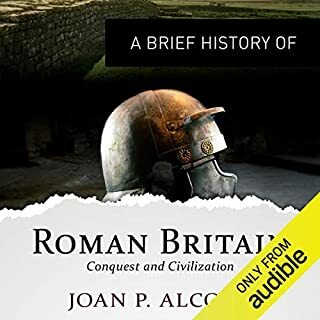 This the first book in the four-volume Brief History of Britain which brings together some of the leading historians to tell our nation’s story from the Norman Conquest of 1066 to the present day. Combining the latest research with accessible and entertaining storytelling, it is the ideal introduction for students and general readers. 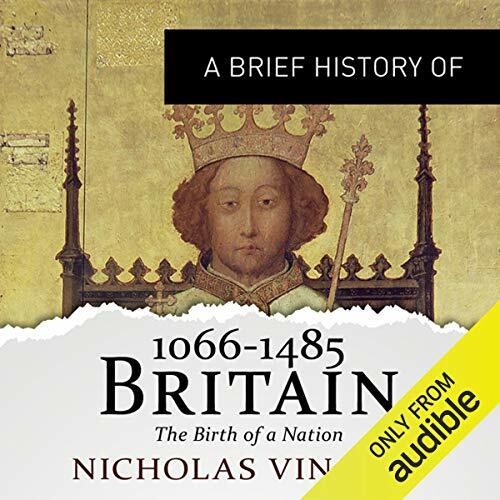 Nicholas Vincent has published half a dozen books and some fifty academic articles on various aspects of English and European history in the 12th and 13th centuries. He has studied at Oxford, Cambridge, Paris, and Canterbury and now is professor at the University of East Anglia. 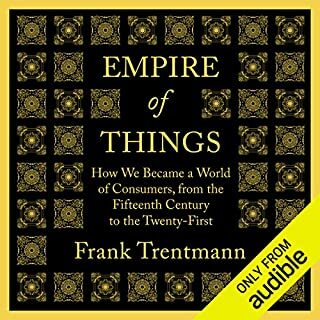 I read this book a year ago, yes audible I still read. 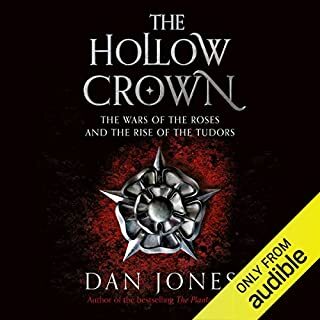 I thought it was great so I decided to also get the audiobook. It gives an excellent survey of the period. The author is clearly an expert in the period. He is particularly good on the the problem of sources for the period, and that we know far less than we think about the events. He starts the book by saying the reason medieval historians were so good at code breaking in WW2 was they were use to piecing together a story from fragmentary facts. Some of the coverage of different periods is uneven. The Norman conquest and the run up to it is given extensive coverage, but some other periods are skipped over quickly. Religious social and economics factors are also covered, which means the book is covering a lot. 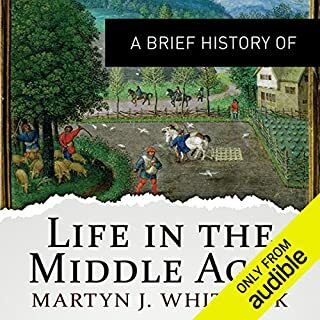 A very difficult book to work in Audio. Huge number of facts and names to try to absorb. Whilst it was well read the narrator, understandably being a factual book, was unable to put any emotion into it, subsequently it was rather dry. Found myself drifting away whilst listening to it. 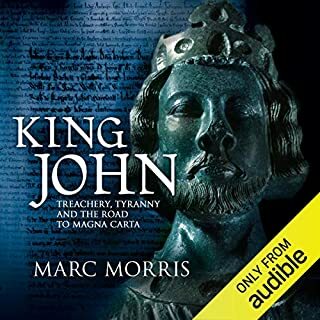 I have enjoyed listening to this book and learning more about a period of history that seems to have had many different interpretations, dependant on whose account was used when you were taught at school!. The reader is a joy to listen to. 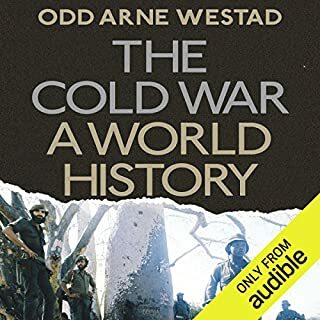 I am looking forward to listening my way through the rest of history. 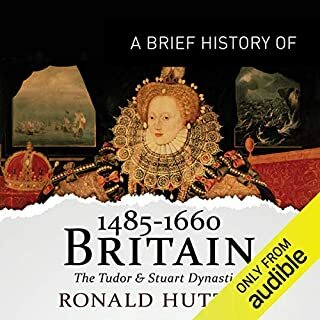 About this audiobook, 'Brief History of Britain' vol. 1: it is the sort of history I thought they did not do anymore i.e. a chronological account of the reigns of monarchs. It does not go into depth, no sustained analysis, nothing overtly 'theoretical', instead a textbook-like, apparently straightforward account of the period. It is what you'd expect schoolchildren to be given rather than university students. The blandness of the style masks the fact this is an interpretation and thus a biased account, giving one angle on its subject. Specialists might be angered by the polemics but I only know enough to know when I am not being told the whole story. At such times I note the bias and smile. If it intrigues me, I make a mental note to get more books or some journal articles that cover that detail in more depth. If you do not want it to be more than it is, it is fine. It is better than wikipedia but not anything special. As other reviewers have noted, it is written in a dry style and read in a dry way. After a while I find myself tuning out the drone. Never mind, I just put this on and let it play and I tune in and out when something catches my attention. It adds fun - I get half of the story about King Stephen one day and can fill in the pieces when I listen again. It has become a sort of audio jigsaw puzzle - relaxing. Great for falling asleep to and great for keeping the budgie entertained while he is in his cage and I am out and about. Could not recommend it to anyone studying history in a serious way e.g. for university except as a casual resource used for fun (e.g. audio jigsaw) rather than study. If you like history, I can recommend BBC Radio 4's In Our Time. The podcasts are free and provide hours of entertaining discussion about a wide variety of topics. Sometimes the guests are boring but often they provide enthusiastic, well-informed, entertaining, high-minded chat. It is a bit like dinner-table talk but less free ranging and with less egoism, less gossip, less passionate disagreement and debate. I'm sorry about the lack of debate but that is Radio 4, totally anodyne. 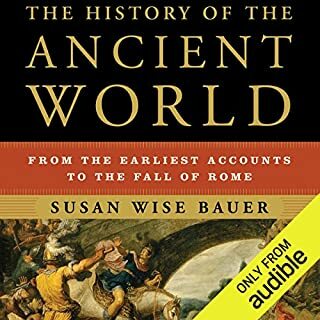 This audiobook is anodyne too. I guess that is my biggest criticism - how can you write about history without passion? I dunno, but they manage it. My remarks apply to vols. 2 and 3 too. Much of a sameness. I haven't read vol. 4 yet. 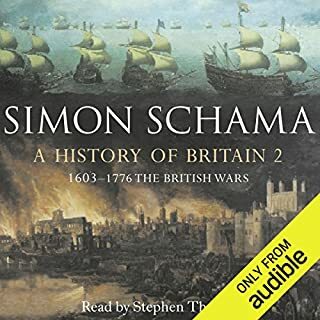 I am not expecting it to be more juicy although since it deals with history up to 2010 it might be more self-conscious about the fact it is just one man's account of Britain's history thus of necessity biased, limited, skewed. We saw how differently people feel about historical events when Baroness Thatcher was given a state funeral a few weeks ago - some were incensed, others proud. The wide range of reactions to one historical event shows why writing even a 'brief' history of Britain has to be the act of an ignoramus, a conceited fool, or a dashing hero. I noticed that all four volumes of this history were written by men. Was that because all the women historians were just too smart to do it and all the men just too tempted by the chance to play the hero they were willing to take a risk on looking like a fool? Who knows. 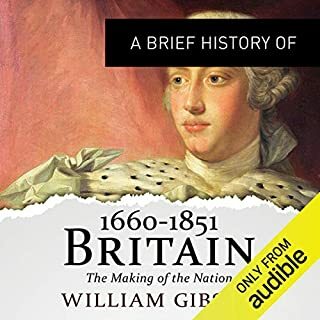 I guess that is why I like history: I ask myself questions such as 'Why would someone write a brief history of Britain when they can foresee all the prat falls?' Or 'Would I touch King Henry VIII with a barge pole?' 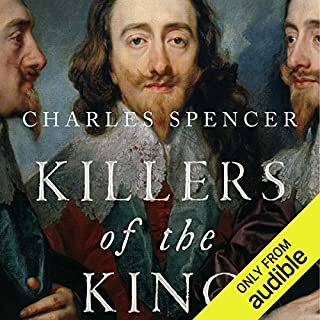 - working out how specific events came about (this history book) or how to evaluate specific events and the people involved (Henry the wife-murderer) is what history does. It gives the facts and interprets them and evaluates them. It teaches a moral. This brief history presents some facts but it totally short-changes on interpretation, evaluation or drawing any moral conclusions. Think of Maggie Thatcher's funeral - can you write it up as history without address moral questions? I think this history is boring because it is gutless, does not dare to take a stance. It reports the dinner menu of a queen and war and plague with the same blandness. It gives us neither comedy nor tragedy. But human life is both. And a history of human life has to be able to convey the fun and the sorrow - not grey them all out to the same wishy-washy 'shrug, who cares' which is not 'objectivity' it is just bad history. Verdict: all four volumes are definitely worth a punt if offered on cut price deals. Do not pay top dollar or you might rue it. What did you like most about A Brief History of Britain 1066-1485? It conveyed a very big subject dealing with a lot of information very well and was easy to follow. What about Roger Davis’s performance did you like? It would be a good idea to have a basic knowledge of this subject before listening to this book. If you want more detailed in depth information this is not the book for you. It gives a very good account of the times and what happened socially as well as politically. Has A Brief History of Britain 1066-1485 put you off other books in this genre? 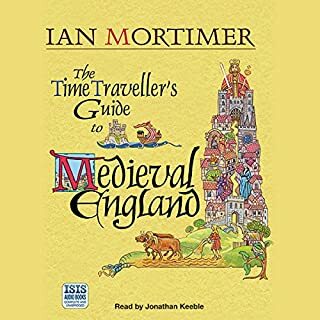 Do you think A Brief History of Britain 1066-1485 needs a follow-up book? Why or why not? No. I found the chronological order confusing. If you could sum up A Brief History of Britain 1066-1485 in three words, what would they be? What other book might you compare A Brief History of Britain 1066-1485 to, and why? 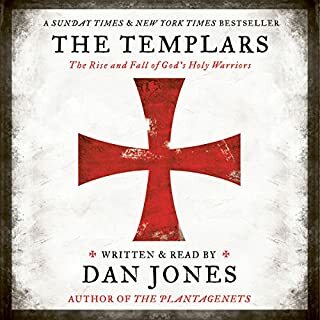 I've not read another book like it, but because I was listening, usually while driving, I took in a vast amount of interesting material that would have been more difficult on the page. What does Roger Davis bring to the story that you wouldn’t experience if you had only read the book? Davis definitely brings it to life, he made me think of historic characters as real people operating within the politics of their time. Not an emotional response as such, but a large number of "aha, that's why" moments. What did you like best about A Brief History of Britain 1066-1485? What did you like least? Much too long and would benefit from a cut to about 1/3 of the current length! After wading through a thicket of detail on various family connections (even when hardly relevant), frequent subclauses starting with 'or...' to hedge a previous statement, and the obligatory politically correct musings, one has often advanced but 20 years in around one hour's worth of listening. This makes it difficult to get an 'overview' of a period - which is surely what a 'brief' history is for? One still misses a good, short, and to-the-point overview of British history. Somehow British historians seem incapable of achieving this, preferring instead to get bogged down in every little idiosyncratic detail? 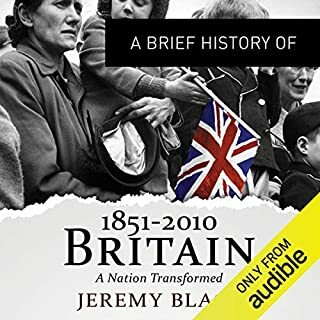 I guess I shouldn't be surprised that there is little depth in this book as it is called A Brief History of Britain but I was disappointed at how little depth there was. I find the conquest and then subjugation of the Britons and Anglo Saxons by the Normans fascinating - the way british collective personality seemed to develop at this time, the tenacity of the english language and the development of democratic government is so interesting but its not discussed in much depth which was frustrating. The Wars of the Roses was dealt with very curtly and again this was disappointing. I recommend this book as a primer - theres so much more to discover if you scratch the surface - this book really doesn't scratch very deeply at all. This is excellent! Very well-done! 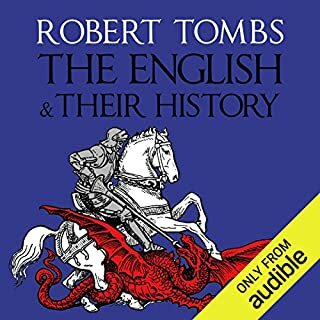 I'm not from England, but for some reason I'm obsessed with English history. Despite all the books I've read on the subject, there were definitely a few issues that left me confused. This series of books has a different author for each, who specialize in that particular time frame, with the same fantastic narrator. 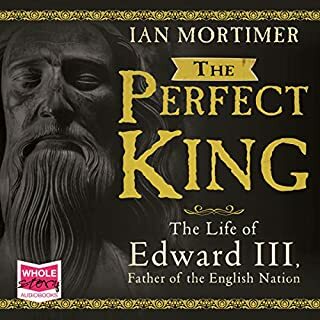 This book starts with William the Conqueror and the Norman invasion at the Battle of Hastings; it ends with Henry Tudor at the Battle of Bosworth Field, where the sketchy Richard III is killed, thus ending the War of the Roses. Speaking of, I'm starting part two already... It begins with the Tudors and encompasses the religious and political issues of a newer, more modern England. My highest recommendation for this book and the whole series. 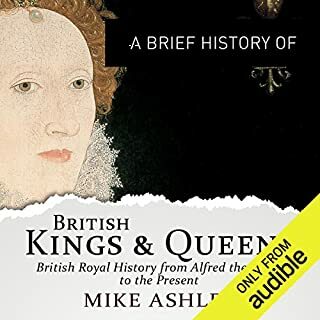 The writing itself assumes you have already got quite a bit of prior knowledge of British history of the period, and of what's coming next, and it's often matter-of-fact tone doesn't help distinguish the important parts from the asides. Found myself having to research quite a bit on Wikipedia around the subjects. Good narrator however.